UPSSSC Lab Technician Recruitment 2016: Uttar Pradesh Subordinate Service Selection Commission has also known as UPSSSC which has been recently released the advertisement for the post of Lab Technician. There are around 770 vacancy. Now a day candidates who are looking the latest govt jobs in Uttar Pradesh can apply the Uttar Pradesh SSSC Lab Technician recruitment 2016. The applicants who are going to apply the application before check the eligibility criteria on the UPSSSC Lab Technician notification. If you meet the eligibility details can apply the UPSSSC Lab Technician online application 2016 through the official site upsssc.gov.in. Our Indrajobinfo.co.in site has been attached the link for the UPSSSC Lab Technician jobs 2016 notification and application form. So the candidates can easily apply the Uttar Pradesh recruitment 2016 by using given link. The many of the candidate are waiting for apply the UPSSSC Lab Technician vacancies. Those can utilized the Uttar Pradesh SSSC Lab Technician jobs 2016. This is one of the golden opportunity for the applicants who are completed the Diploma in Medical Laboratory Technology (DMLT) in UP can apply the UPSSSC Lab Technician application form through the online mode at the official portal upsssc.gov.in. The eligible candidates can apply the UPSSSC recruitment 2016 by access the given link. Suppose you have any doubt about the Uttar Pradesh SSSC Lab Technician recruitment 2016, then you will write the comment to us. Our team member will reply your query as soon as possible. The aspirants must apply the UPSSSC Lab Technician online registration 2016 on or before 11th July 2016. 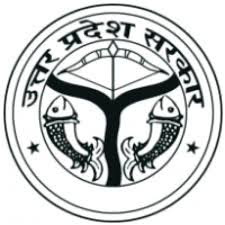 Name of the Commission - Uttar Pradesh Service Selection Commission (UPSSSC). Post Name - Lab Technician. Total Number of Jobs - 770. Category Name: Uttar Pradesh SSSC Recruitment Notification 2016. Educational Qualification: The applicants who have pass the 10th/12th/Diploma in Medical Laboratory Technology/DMLT from a recognized university can eligible to apply the Uttar Pradesh Technician vacancies 2016. Age Limit: The candidates should have an age limit minimum 18 years and not exceed 40 years as on 1st July 2016. The upper age limit will be applicable for the reserved applicants as per the government norms. The aspirants have to pay the fee details given. Pay the payment of the application fee through the online gateway mode. The applicants will be getting the scale of pay Rs. 5,200/- to Rs. 20, 200/- plus grade pay Rs. 2,800/-. The selection of the candidates in UPSSSC Bharti notification 2016 will be based on the performance in the written examination and shortlisted applicants will be called for the personal interview. Open the official site upsssc.gov.in by clicking given link. Eligible candidates can apply the online application form. Date of online application start: 21st June 2016. Online registration last date/Part 1: 11.07.2016. Closing date for application fee: 13th July 2016. End date of application form: 15.07.2016. UPSSSC Lab Technician Recruitment 2016 Notification Download Here. Click to apply the Uttar Pradesh SSSC Lab Technician Online Application Form 2016. Latest & Upcoming Jobs in UP 2016-2017.